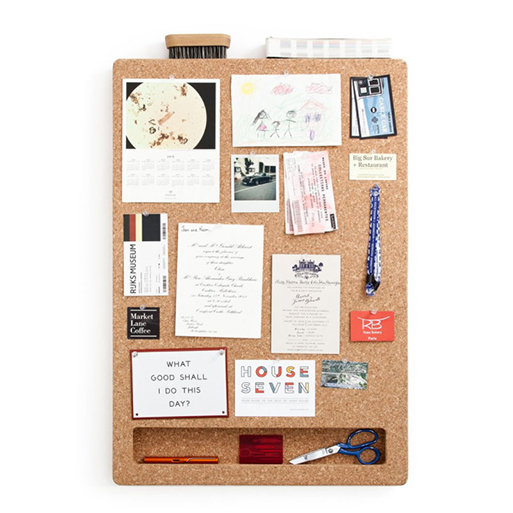 Who doesn’t love a cork board to keep important notes and correspondence handy? 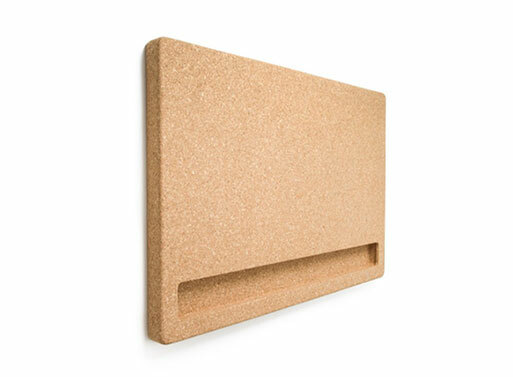 This Corkframe Pinboard upgrades your classic board with a thicker, more robust version. A cutout shelf at the bottom holds smaller items like pens, pencils, and keys, making the board your go-to spot for everything important. Rounded edges give it a polished look that will work for years. Includes a mounting guide and brackets and a metal tin containing 20 steel pushpins. Materials: 100% sustainable medium-grain cork. Also available directly from Corkframe, €80.00 – €110.00 (they ship globally). Available from DWR, $100.00 - 155.00.